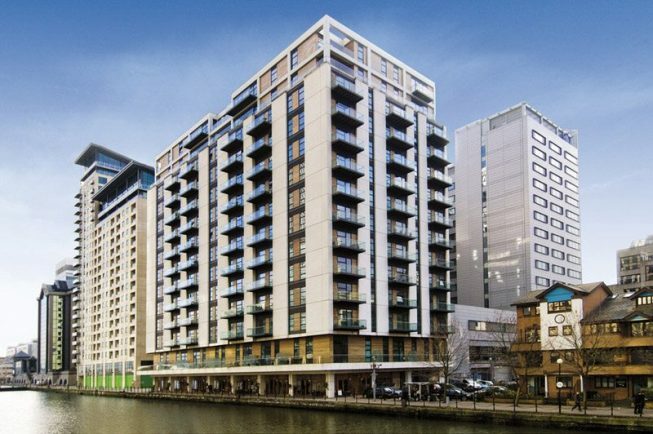 A mixed use development located directly opposite Canary Wharf. The project comprised a hotel, office building, residential apartments and retail units. The land and buildings were acquired and planning permission was obtained to convert the original office building into a hotel, offices, residential apartments, retail units and underground parking. A 283 bedroom, fully serviced Hilton Hotel. 153 apartments overlooking Canary Wharf estate. Recent planning consent achieved for a 200 unit serviced apartment-led scheme together with serviced offices. Two retail units of 8,000 and 5,000 square feet overlooking Canary Wharf and the Discovery Dock East development.